Life After Miscarriage: How does this story end? Life After Miscarriage: Who is that in the mirror? College is expensive. Though in-state schools can run as “little” as $9,000 a year according to the College Board, the average tuition at a private college or university easily tops $35,000. And while scholarships and financial aid can offset the cost of a college degree, the average debt load carried by recent college grads exceeds $20,000. Being so deep in debt is hardly a good position to start off one’s career. Many new parents are often daunted by the expenses related to raising their child; saving for college may become a secondary priority. Here are three easy ways to start saving for your baby now—even before he or she is born—that will be easy on your wallet while still producing a nice chunk of change over time. Upromise is a free service that makes earning money for your child easy. Upromise has partnered with hundreds of retailers and product manufacturers in its percentage-back program. For your purchase of products enrolled as Upromise partners, 1-25% of the purchase price is set aside in an education account for your child.Every time you shop online—for books, music, movies, car rentals and other	travel-related services, clothing, and dozens of other items—you earn money if	you make sure you have Upromise’s Turbo Saver tool bar installed. Upromise	also has restaurant and retail partners—Exxon, Publix, and many more, who	particpate in the program and offer percent-back options, too.You can set your account up before your baby is even born. But perhaps the	very best feature of Upromise is the fact that you can have friends and family	help earn, too. If they enroll in Upromise, their purchases divert percentage	points into your child’s account. 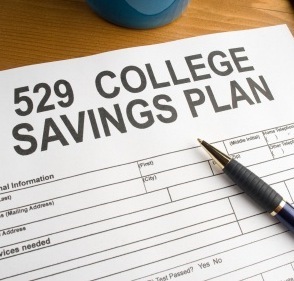 529 Savings Plan: A 529 is a savings plan designated specifically for educational purposes. They are overseen by states, and each of the 50 states has at least one 529 option available to its residents. Though the terms of the plan (and their associated tax benefits) vary from state to state, a 529 is an ideal and easy way to start saving money for your child’s education even before he or she is born. Setting up a 529 plan is typically fast and hassle-free, and you can let family and	friends know that the account is available for gift-giving. A contribution to the	529 may be tax-deductible (again, depending on your state’s regulations), so	family and friends may be more inclined to give a gift to your child’s 529 than a	collection of baby bibs or the like. Generally speaking, the minimum deposit for	establishing an account is very low. Also, if you’ve also set up a Upromise account—and since it’s free, why not?–	your Upromise account can be linked directly to your 529, with Upromise	earnings sent directly to your 529. ING Direct Savings Plan and Children’s Investment Plans: ING Direct is an online bank that offers two choices for generating educational savings for children. First is a direct savings plan, which you can open as soon as your child is born	and has a Social Security number. You can set up automatic withdrawals from	your own checking or savings account on a weekly or monthly basis in any	amount: even just $20.00. ING Direct also offers two investment plan for children, one called a Custodial Plan and the other an Educational Savings account. Regardless of the plan you choose, there’s no start-up minimum, no account balance minimum that has to be maintained, and no account inactivity fees. According to the bank’s own data, if you were to invest $100 a month at the rate of 8% return on investment, the account would be worth $33,441 in just 15 years and $56,923 in 20 years. At about $25 a week, that’s not too shabby. Takes care of at least a year of college! According to an online TIME Magazine article published late last summer, the US Department of Agriculture estimates that it will cost me and my husband more than $220,000 to raise our baby and that’s before we pay for college. I’m normally the frugal one in our relationship. When our dog needed $1300 in dental work (don’t judge us), I promptly responded by reducing our monthly grocery bill. When I had a minor car accident and had to pay a $500 deductible, I put my foot down on going out for drinks. Not a cent leaves our checkbook that I don’t scrutinize with the eye of a IRS agent. But when it comes to the baby, does it really pay to be cheap? “Mommy loves you so much, but not enough to buy the $800 crib.” That just doesn’t sound right. What I’m going to need is a good mommy-consumer coach; someone to tell me where it’s OK to skimp and where I must absolutely buy the brand name. I saw the sale price of Target-brand diapers today. My seasonal clothing budget is going to become my monthly diaper budget and our entertainment budget will be diverted to a collection of Baby Einstein DVDs (I hear they are supposed to be good for brain development. Who am I to say no to that?) and Rockabye Baby CDs (lullaby renditions of rock bands is better than most of the kiddie music available, right?). From what I hear about parenthood though, we’ll see a fabulous return on investment in baby smiles and drool-filled kisses and first steps, and first words. And that’s something no one can put a price on.